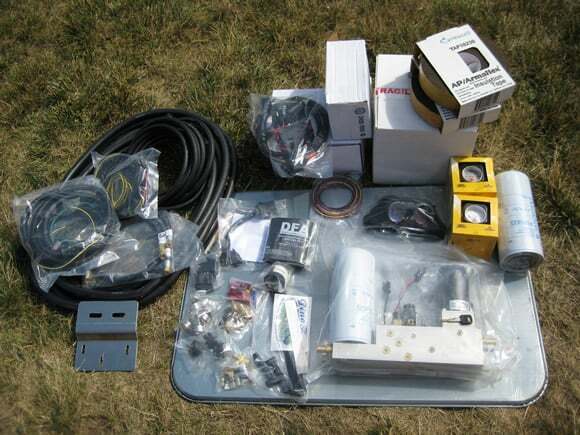 After successfully converting my F250 to run on Waste Vegetable Oil (WVO) several years ago, I recently decided to purchase and upgrade to the Vegistroke V3 kit from Biofuel Technologies . While my own conversion had functioned well for several years, I wanted to upgrade to the design and reliability of the V3. The V3 has lots of added creature comforts such as fully auto-purge and shutdown AFTER I turn the truck off. That’s right, if I forget to tell the truck that I am going to be shutting down soon, it will still completely purge and safely shutdown the engine for me. This is just one of the many things that made me feel the Vegistroke V3 was the best conversion available for a Ford 7.3 PSD. The kit arrived quickly. 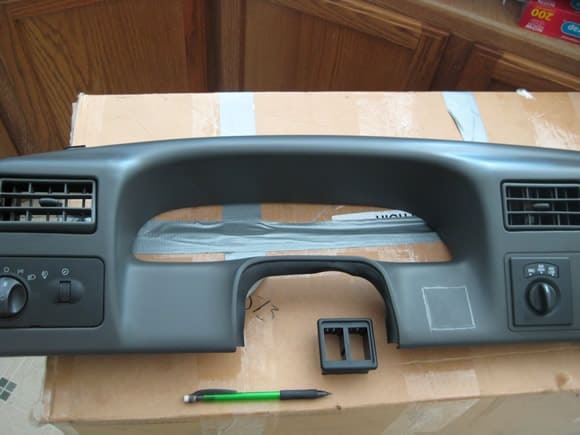 It was well packed and I can’t wait to get to installing it. Despite the capabilities of the V3, it is probably also among the easiest to install. Almost everything is contained into a single module that bolts up to a frame rail, and then we just connect a few hoses and electrical connectors. All of the included connectors are weather-resistant, OEM style electrical connectors. They are all gendered and keyed so that when installing you really can’t connect them incorrectly. This makes what could have been a real pain to install almost as simple as plugging in a toaster! 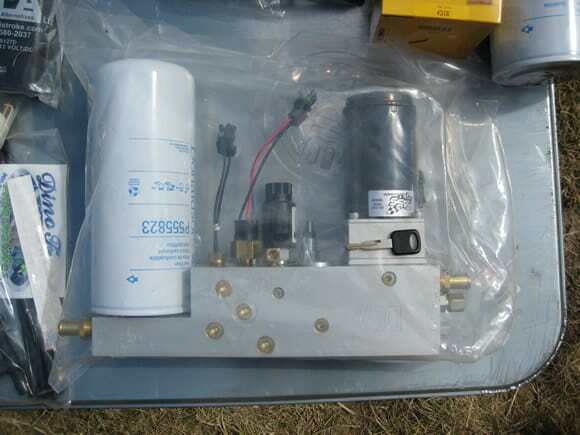 This also will help prevent any electrical troubles in the future that can be caused by poor connections made by the installer when installing other kits (a very common issue). Having designed and then priced similar electrical harness’s myself, I know Jason has spent a lot of time making this so clean. It also costs a lot of money to build harnesses like these. Take the switches for example, rather then the junk switches most kit vendors give you, these are rated for 20 amps, NEMA approved for water-resistance, and have large soft-faced rubber paddles which are easy to operate. I have actually priced these same switches and they list for over $30, not including the connector Jason has included. I decided to go with the 40 gallon under belly tank. 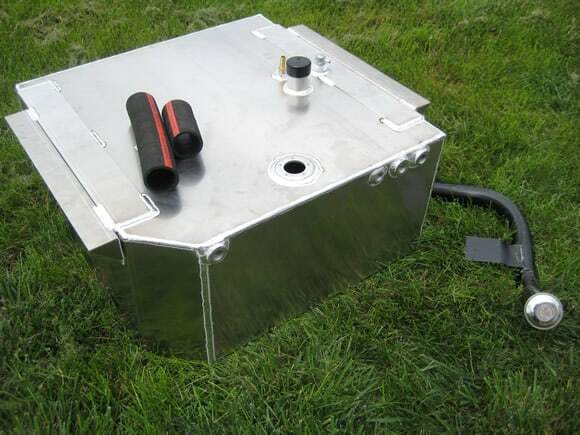 The tank is all aluminum, internally baffled, and has a built-in aluminum heat exchanger. Notice that all fittings are external to the tank so that in the rare event that a coolant leak were to occur, it would leak on the exterior of the tank and not contaminate your fuel with water. Running any diesel engine with fuel that is contaminated with water can be devastating to the engine. UPDATE: I have installed the two gauges and the switches into the dashboard. 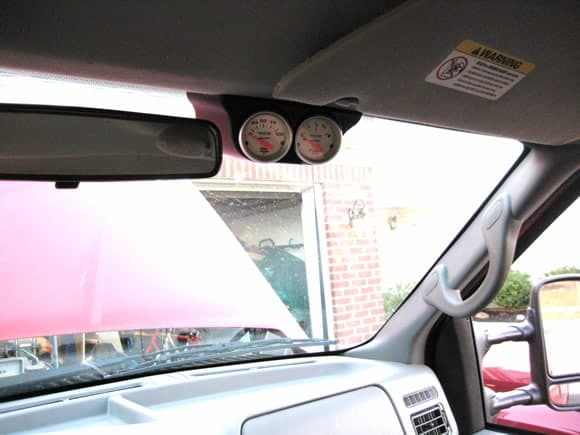 The included gauge pod was from Autometer and the Autometer instructions show the gauge pod being installed directly above the rear view mirror. My rearview mirror may be attached higher then some because it would not fit there. However it fit just fine slightly to the right and I am perfectly happy with that. The vegistroke kit came with a convenient wire harness already set up for the gauge pod. The pre-wired harness was all set up with daisy chained grounds for both gauges and also had wires for the night illumination bulbs. The vegistroke kit instructions list several suggestions for the placement of the switches. 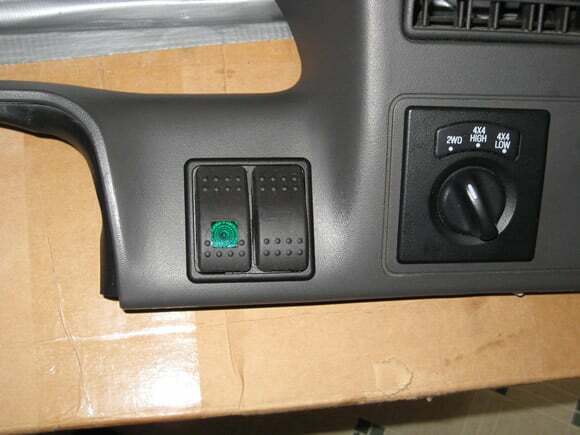 For those who do not wish to take apart their dash they offer a simple solution of installing to the fuse panel cover below the steering column. They also show a very nice looking install in the blank space right where the shift on the fly 4WD selector happens to be in my 2002. I took some measurements and found there was also enough space inside the dash a little further to the left. The kit came with plenty of wire for the switches so you really have a lot of options. The dashboards on these trucks really come apart pretty easy. For the most part they just pop loose, and then you disconnect the connectors from behind with the aid of a small flathead screwdriver, In fact the most troublesome part was the factory radio, which is much easier if you pull it out first with the factory removal removal tools (available for very cheap at any auto parts store), but it can still be done with the radio still in as well. 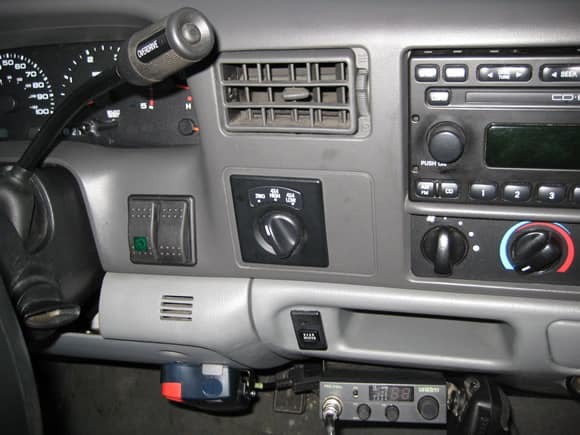 The one thing to be cautious of is with the automatic transmission trucks you may need to shift the gear selector down into 1 or 2 to give you more clearance. If you need to do this, make sure you set the parking brake and ensure the truck will not roll if you are on an incline. If you are unsure chock the tires. Once the dashboard was out, I cleaned it and then used light pencil markings to outline the snap-in bezels included with the switches. Then I used a rotary tool to carefully cut out the plastic. It is safest to cut the hole slightly small, and then widen it until you get a perfect fit. A small flat file can help with cleaning up any burrs in the plastic and slightly widening spots. Once the hole is right the switches snap right in and the dashboard goes back together nice and easy. Make sure you don’t forget to connect any of the electrical connectors during re-assembly.